Steven (Chicagoland, United States) on 17 December 2010 in Cityscape & Urban and Portfolio. The steeple of Immaculate Conception Church in Waukegan, Illinois stands proudly between two maple trees exhibiting their fall foliage colors. 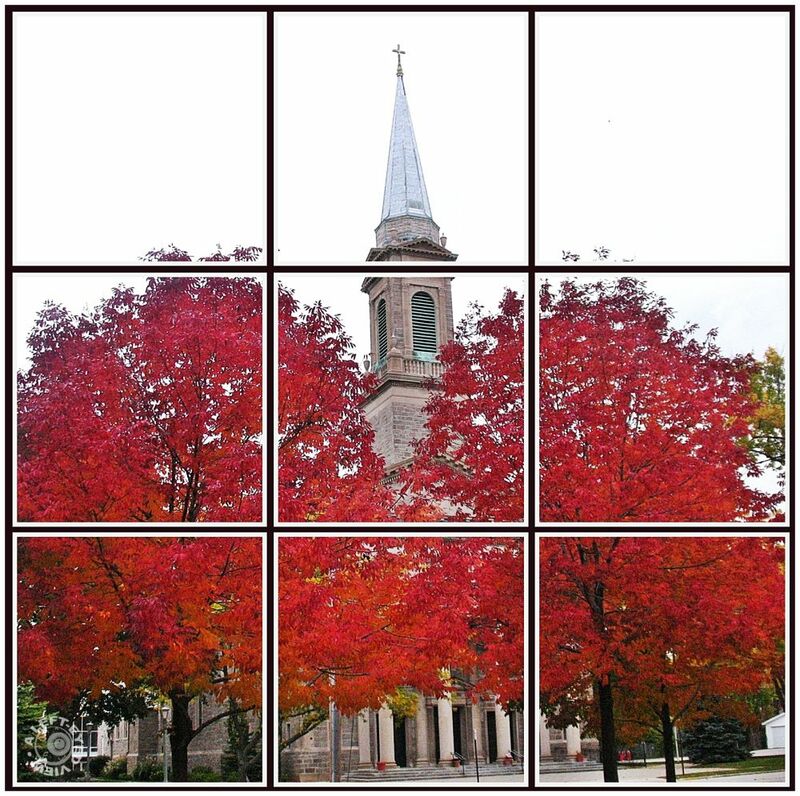 Photo was sliced into 9 separate pieces with PhotoScape's splitter tool and arranged in this 3 x 3 format. I also "screen captured" the plum-colored background of my blog and added that to the rear of these 9 separate pieces. Cool! I feel like I'm looking out the window, only the weather's a lot better there than here... Great look! This is very well done , this works great ! Nicely presented, but the colour of the trees is fantastic, a bit of a shame to hide some of them. interesting presentation, i like it! gives a different structure to a beautiful image! A clever presentation, like looking through the panes of a window. Not sure I'd like the effect often but this really is a nice display. Computer challenged" person! These colors are brilliant and, what is it about a church steeple that just goes so well with fall colors??? I love this!